Egypt to reportedly allow Hamas member's burial in Gaza despite Israeli request not to until Hadar Goldin and Oron Shaul are returned. 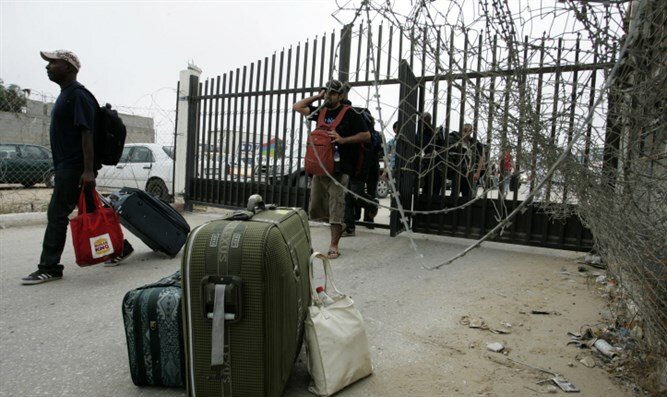 Egypt is expected to allow the entry of the body of a Hamas engineer who was assassinated in Malaysia through the Rafah crossing, according to a report by News 2. The transfer of Fadi Mohammad al-Batsh's body will be carried out at the request of the terrorist's family, despite an official request by Israel to prevent the transfer. The family of IDF soldier Hadar Goldin, whose body has been illegally held by Hamas since 2014, turned to the Coordinator of the Operations in the Territories, Major General Yoav Poli Mordechai, and to the military secretary of Prime Minister Netanyahu, Brigadier General Eliezer Toledano, demanding that the Israeli government not allow the return of the body to Gaza. "We have made it clear to all those concerned that our position on this matter is clear and unequivocal and that al-Batash's body should not be returned for burial in Gaza, and we are convinced that Israel must also turn to Egypt and not allow the body of the terrorist to be transferred through the Rafah crossing," the family said. Cabinet member Naftali Bennett supported the family's position and said that the body of engineer Fadi al-Batsh should be conditioned on the release of the bodies of Hadar Goldin and Oron Shaul by Hamas.